Hi, my name is Somer Greene. I am eighteen years old and senior in high school, and I would like to tell you about my personal discovery. It all started on March 1st 2011. Our favorite restaurant was empty that night. Tables lay vacant except for empty plates. A waiter hummed quietly to himself, and small candles illuminated the room. My family and I had just discovered in that quiet little restaurant that my pathology came back positive, meaning that I had Hereditary Gastric Cancer. My father had been battling this same gastric cancer since January 1st, 2010, and once we discovered this cancer was genetic, my brother and I were immediately tested. My brother did not inherit the gene that caused this cancer; however, I did. In addition, this CDH1 gene was already producing cancer cells. Because doctors found this cancer in its early stages, there was still a solution. This solution occurred one month later when I received a Total Gastrectomy. Removing my stomach removed the cancer cells, and prevented them from returning. Recovering from this surgery and learning to live without a stomach was extremely difficult; but with the help of my father it was possible. My father is my hero. He is my strength, my encouragement, and my role model. His battle with cancer inspired me to fight mine. However, as I was healing from surgery he was dying. My father had the courage to fight Hereditary Gastric Cancer for sixteen months, and personified strength as he watched me fight the same cancer. Gastric Cancer causes 800,000 deaths worldwide every year, and this statistic now includes the death of my amazing father, Lieutenant Bryan Greene who passed away May 6th 2011, one month after my surgery; but because of my amazing father this statistic will never include me. Nicki, finding cancer was not my discovery. My discovery was the finding of myself; I found my strength in one of the weakest moments of my life. I fought, and so did my father. In my father I discovered strength that could only describe superheroes. In myself, I discovered Somer. I found a girl who wasn’t scared of the world, but ready to dance with it in a beautiful mess called life. I discovered the true meaning of community service, and that receiving can be even harder than giving. I discovered blessings that for so long I was too blind to see. The discovery of myself lead to the discovery of an incredible relationship with God. The path to my discovery, although a difficult one, has shaped me into a young woman who is ready to lead her own future. I hope my next discovery will be the finding of myself on Occidental College’s campus studying osteopathic medicine. Looking into the future, I can’t see myself doing anything but striving to change the world, and I know that studying holistic medicine will allow me to do just that. I hope to combine advanced Western technology with traditional Eastern practices to truly help patients suffering from cancer by not only making them feel better, but actually making them better. 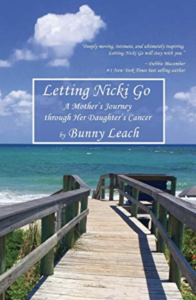 Receiving assistance from the Nicki Leach Foundation would help me support other cancer patients. I would use my support from this incredible foundation to excel in college so that I can use my experience with cancer, medicine, and death to help others. Receiving your support would help me and my family in tremendous ways. My discovery has given me the courage to create a new path, a path that will hopefully lead to changing the world. 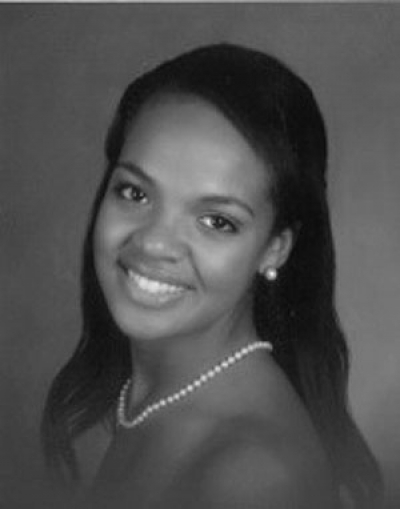 By helping me pursue my education, the Nicki Leach Foundation will allow me to embark on this path.